They thought they'd gotten away. 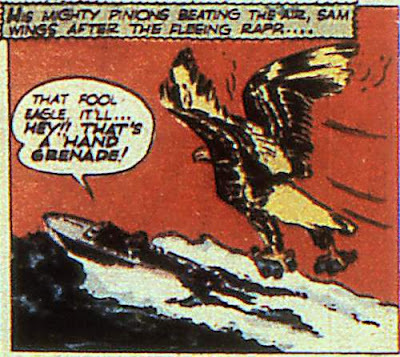 They forgot about the bomb eagle. This is up there with "Shark-Repellent Bat Spray". I've found my new favorite blogger, I believe. I REALLY hope someone out there has a tattoo of this. It would be mind-shatteringly beautiful.